If these rumors are true, you might be able to play Zelda and Pokemon on your mobile devices in the next few months. If you've ever wanted to be able to play Nintendo games like The Legend of Zelda and Pokemon on your mobile device, you may get your wish. Rumors reported in The Wall Street Journal say that a Zelda mobile game is on the way, and that The Pokemon Company is planned a mobile card-based game. According to the sources cited, the Zelda mobile game is planned to launch after the already announced Animal Crossing mobile game. While the WSJ says that Animal Crossing game is coming out later this year, Nintendo has only confirmed that it will be released sometime before April 2018. The Zelda mobile game is reportedly being developed by Japanese developer DeNA, who also developed Super Mario Run. It's not surprising to hear that Nintendo could bring Zelda to mobile, as it's one of the company's biggest franchises. It's even less surprising that there's another Pokemon-themed game in the works, given how popular Pokemon Go was. Obviously, you should take rumors like this with a grain of salt, as they're far from confirmed. We'll keep an ear to the ground, and let you know if Nintendo confirms any of these rumors, but we may have to wait until E3 next month. I'm betting that the Pok?mon game is going to be a mobile version of the Pok?mon Trading Card game. Sort of like Duel Links. We had a Pokemon game for mobile. And Niantic fucked it up. That is already a thing for both Android and Apple its just limited to tablets with RETINA DISPLAY for apple and tablets running 4.0 and up for android. I think the Pokemon game will be a new entry in the Pok?mon Rumble series. I wish that The Zelda game will be a base management game like A Kingdom for Keflings but Zelda themed and you play as Zelda as she rule Hyrule. * I'm tempted to make a thread for this idea. 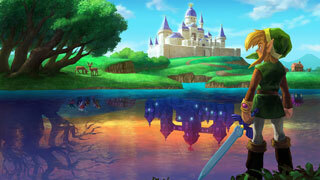 It will probably be Four Swords Mobile, using the control scheme of the DS Zeldas. That's if it even exists. And "card-based game" suggests a mobile version of the card game. They've done something like that before. And it would make sense, after the success of Hearthstone, that Nintendo would want to get in on that gravy train. The last time the WSJ had a Nintendo rumor it was about that Zelda Netflix series that was completely bogus. Not exactly the best track record when it comes to Nintendo "rumors." If the strategy of Nintendo to launch into the mobile game left me a little puzzled at the beginning, I must today recognize that it is at the very least astute. Everyone has a smartphone and plays to mobile games, and this will allow them to well benefit the fame of their most popular licenses.